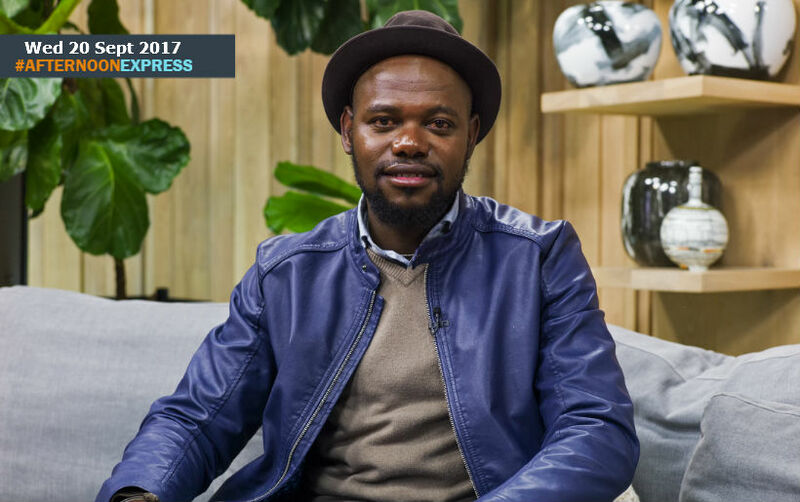 We are joined by young contemporary artist Blessing Ngobeni, he maybe young but he has already established himself as one of the leading leading figures of the younger generations, in the contemporary art scene. Blessing’s artwork is represented by the Everard Read and CIRCA galleries in Cape Town, Johannesburg and London. He was born in Tzaneen, Limpopo. After his mother had left, he had to grow up with an abusive uncle, who would beat him. Eventually he would run away from home and lived in the bush, before his mother returned, and brought him home with her. He would eventually run away from home again and wound up living on the streets of the township, Alex. After being arrested for armed robbery at the age of 15, he received a 6 year sentence for. He spent his time in prison productively and by the time that he was released in 2006, he had completed his Matric. During his time in prison, he discovered his for art and taught himself to paint. By his release he had been painting naturalistic images, that he states, were inspired by Michelangelo’s stylings, this was when he knew that becoming a painter was in his future. After he was released he worked as a puppeteer at David Krut Publishing at the Johannesburg Art Gallery and Red Paper Production. After having his artwork stolen while working at Red Paper, Blessing stopped making artwork for a year, when he returned, he came back with a different style; a darker tone, using weeping dripping paint, after he tapped into the source of his pain, he started making art from the soul. Since then he has gone on to win the Reinhold Cassirer Award in 2012, and in 2013 he was recognised by the mail and guardian in their 200 Young South Africans issue.